NASA celebrated its 60th anniversary! Home » Headlines » Science » NASA celebrated its 60th anniversary! On October 1, NASA celebrated its 60th birthday. Sixty years ago the National Aeronautics and Space Administration was born. The Congress established it because they feared the Soviet launch of Sputnik I. The Act was passed on July 16 and President Eisenhower signed it on July 29, 1958. After that, NASA began its business on October 1. At that moment the object of the space agency was to win the space race. But it became so much more than that. NASA has become an inspiration for people all over the world. It hasn’t been involved in controversies or political issues over the years, and thanks to that they have a great and positive impression on the public. NASA’s official logo for they 60th anniversary. Image credit: NASA. At the beginning of the year, an official logo for NASA’s 60th birthday was released. In January the space agency expressed their thoughts on how they saw this logo as a representation of how the agency “is building on its historic past to soar toward a challenging and inspiring future”. They also held a concert interpreted by the National Symphony Orchestra at Kennedy Center in Washington, on June. On October 1, the celebration began with an overview of their beginnings, past achievements, and future prospects of the space agency. They even stated they wanted to “support human exploration to Mars and beyond”. Some agency officials recognized and honored all the sacrifice made to achieve everything they have till now. NASA also released a video describing their 60 years journey in just 60 seconds. It contained some of the iconic moments of space travel for the United States. But the most special event of this celebration was the Happy Birthday song interpreted by their Curiosity Mars rover. It’s the same tune as the one the robot sang on its first birthday on Mars. If you want to listen to it, you can go to SoundCloud and find the song. 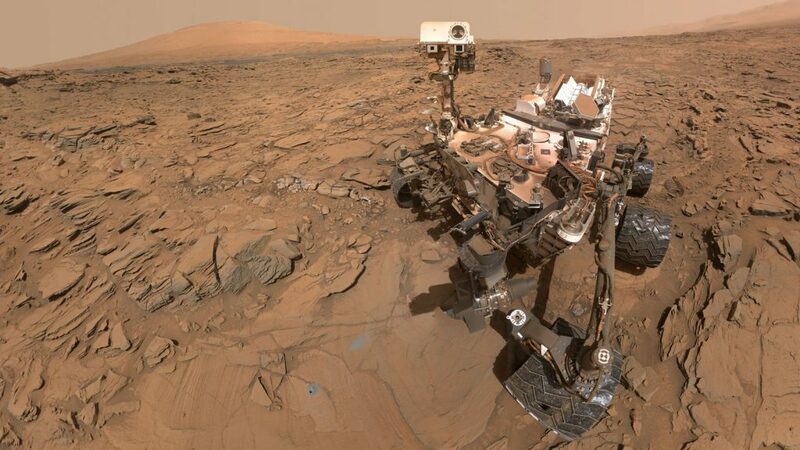 Picture of NASA’s Curiosity Mars rover. The robot that sang the Happy Birthday song for the anniversary. Image credit: NASA/JPL-Caltech/MSSS. NASA is working on a variety of plans to make the next 60 years even more memorable. Some of the biggest ones are the construction of the Lunar Orbital Platform-Getaway, the launch of the James Webb Space Telescope, the Orion spacecraft and the completion of the Space Launch System. On the overview, the agency officials even expressed that this and the other future plans they already have prepared are so incredible that even fiction writers wouldn’t dream about it. Let’s hope the space agency can keep growing and achieving inimaginable goals! For the looks of it, we can almost assure that a bright future awaits and that NASA will keep its hard work to contribute to the human knowledge of Earth and outer space. Happy 60th birthday NASA!